The Central Queensland Amateur Radio Association is dedicated to promoting Amateur Radio within the community and fostering the spirit of Amateur Radio within its members. Education and enjoyment are the cornerstones of our association. The association started with 8 members, and has since grown to over 28. Our association boasts more than a 60% WIA membership and over 250 years of combined knowledge and experience. Originally started as a simple idea to evolve and move with the times, we decided to form an association with the goal of getting on the air, into the field and generally promoting Amateur Radio. 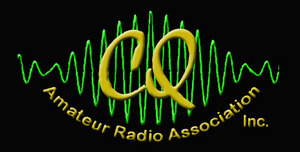 CQARA wishes to bring together radio enthusiasts to enjoy this exciting hobby. We are also committed to actively participating in public events, and increasing public awareness of Amateur Radio. Whether you are a licensed amateur radio operator, or just have a general interest in radio and want to know more, you are encouraged to review our website (cqara.org.au), ask questions, join in on one of our meetings or groups, and become a member. To support lawful, responsible conduct by its members and the amateur community. Many thanks to Jason - VK4FJGS and Ray - VK4HOT we are the 200th Entry for the International Lighthouse and Lightship Weekend in August. We have secured our position at Seahill Lighthouse and Jason and Ray are currently in the process of organising transportation and other finer details for the weekend. So far there has been a great deal of interest shown by CQARA Members to attend this weekend. Training and assessment available for people wishing to acquire a licence from Foundation through to Advanced.